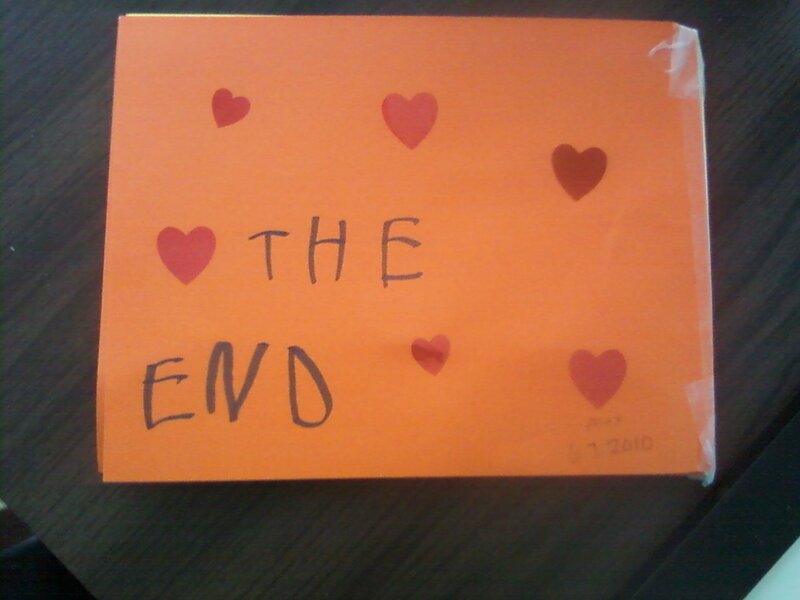 26 east: Is there an author in the house? If the commercial jingles don't pan out, we definitely think there is a future for Miss Alex as an author. 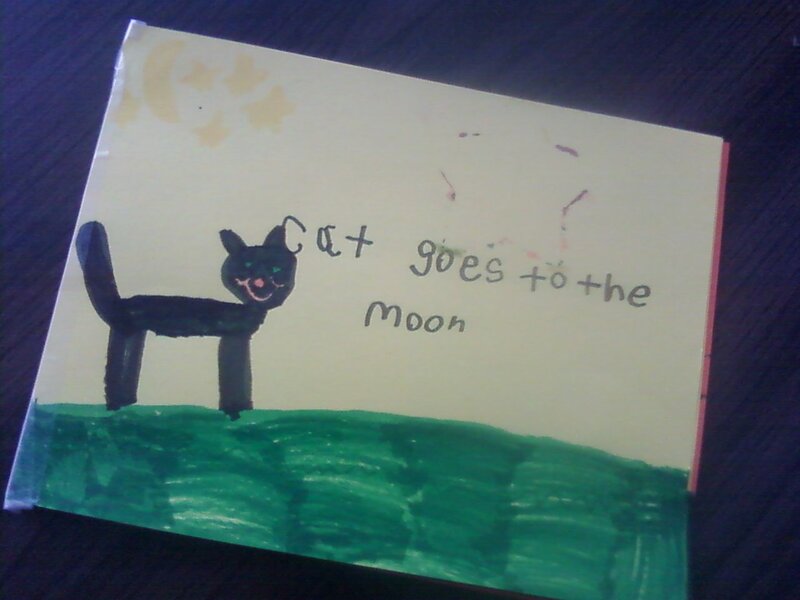 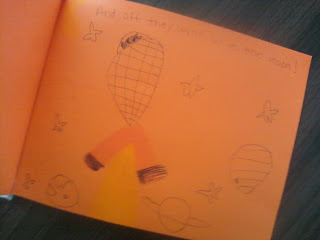 Presenting her first novel: Cat Goes to the Moon. 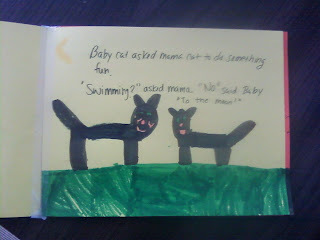 Baby Cat asked Mama Cat to do something fun. 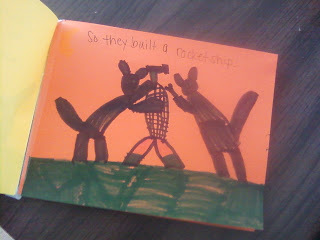 So they built a rocket ship [using a cat hammer and cat wrench]! And off they went, to the moon! Hard to decide who has the better handwriting. *Ring-ring* Alex, the Pulitzer committee is on the phone for you!